With unique clarity and a refreshing sense of humor, James Robbins confidently guides readers through the sometimes bewildering crossroads of Eastern and Western spirituality, psychology, philosophy, and science in search of new paths to self improvement. 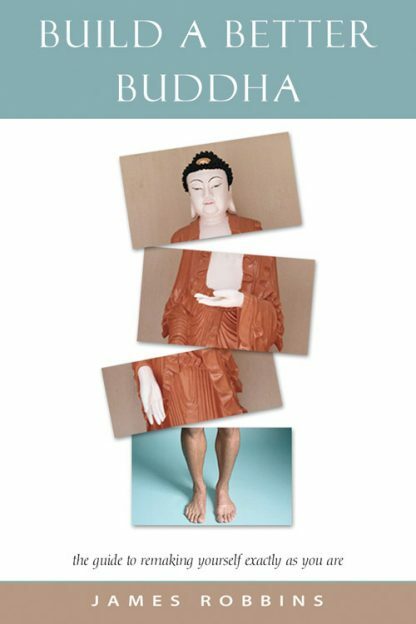 A careful and detailed work of scholarship, Build a Better Buddha communicates traditional and non-traditional spiritual teachings in simple, everyday language. Borrowing from everyone from Dzogchen and The Beatles to Fritz Perls and Henry David Thoreau, Robbins shares principles of Buddhism, Taoism, the tarot, chaos theory, Freudian and Jungian psychoanalysis, Gestalt Therapy, dream yoga, and a raft of other -isms. He takes readers on an often-bizarre sightseeing tour throughout the regions of the mind, heart, and spirit to remind us who we really are. He concludes that efforts at self-improvement are ultimately futile and impossible: Each of us is already perfect.